(17/P87) TRENTON – The bounty of Island Beach State Park will be showcased on Sunday, September 10 during the 20th Annual Beach Plum Festival. The festival is the primary fundraiser for the park’s nonprofit partner Friends of Island Beach State Park. The rain-or-shine event will be held from 9 a.m. to 4 p.m. at Swimming Area 1. An $8 donation is suggested to help with festival costs. Visitors may take a free shuttle from an overflow parking lot to the festival area starting at 10 a.m. The shuttle will continue until the festival ends. This year’s festival will pay homage to the memory of Ferd Klebold, a festival founder who died within the past year. 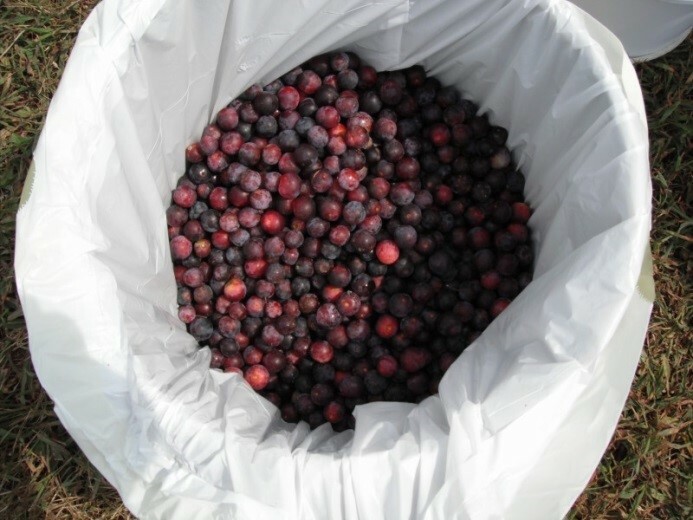 The beach plum is a shrubby tree typically found in coastal environments stretching from Maine to North Carolina. 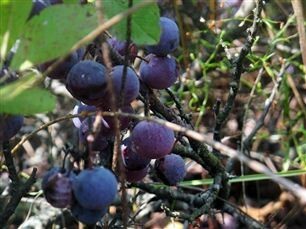 Beach plums thrive in sandy soil, and offers dune stabilization for sensitive coastal ecosystems such as those found at Island Beach State Park. Beach plum plants produce beautiful blossoms every spring and fruit in late summer and early fall. The fruit usually measures less than two centimeters in circumference, and its taste is a mix between a plum, strawberry and apricot. Although beach plums may be eaten raw, it often is used as a jam, jelly, marinade or dessert sauce. The volunteer Friends of Island Beach State Park formed in 1996 to encourage protection of the barrier island ecosystem and to enhance both educational and recreational programs at the park. With more than 400 members, the group publishes and distributes 30,000 copies of the park’s Visitor Guide annually, has funded improvements to the park’s Nature Center and Interpretive Center, picnic tables, a beach camera, free Wi-Fi at Bathing Area 1, and installation of a state-of-the-art camera system to monitor an osprey nest at the park. The group was also helpful in the successful fledging of two piping plover chicks at the park in August. Piping plovers are endangered in New Jersey. This was the first oceanside nest in more than 25 years and the first in the park in more than a decade. Last year, the Friends of Island Beach State Park provided $81,000 to support park programs and purchase needed equipment. Funds raised from the festival will help the Friends group to plant American beach grass to further enhance and stabilize dunes, among other needs.